Ras Al Khaimah, United Arab Emirates – Global leader in bulk handling equipment Martin Engineering® has entered the Middle East market by forging a partnership with German Conveyor Industries LLC, UAE’s experts in the design, installation and maintenance of industrial plants. The deal means that Martin Engineering’s superior range of products – which help companies to achieve unparalleled productivity and efficiency – are available for the first time in UAE. The products are exclusively supplied, installed and maintained by German Conveyor’s local team of specialists. With a highly skilled and motivated team of 150 people, German Conveyor – part of Quarry Mining LLC – designs, manufactures, installs and maintains bulk handling systems, processing plants and environmental technologies in the UAE minerals and mining sector. Martin Engineering is present in more than 20 countries across six continents, supplying innovative conveyor belt cleaners, market-leading air cannons and associated parts to attain cleaner, safer, more effective and sustainable processing. The company’s products help eliminate blockages, prevent spillage and reduce airborne material. Teams from Martin Engineering offices in Germany, Turkey, South Africa and the UK have been working alongside colleagues from German Conveyor to develop an extensive product offering and year-round, rapid-response service. The new partnership has already given rise to a number of opportunities with materials producers in UAE. “Our colleagues at German Conveyor have decades of experience and expertise, with an excellent understanding of the expanding UAE industrial sector,” commented Robert Whetstone, Martin Engineering’s Area Vice President. Moritz Kerler, owner of German Conveyor Industries LLC said: “We are delighted to be launching this partnership to bring world-class products from Martin Engineering into UAE. Martin Engineering has unrivalled experience solving problems in bulk handling systems, and their unique Foundations training programs and manuals enable us to share that knowledge with customers. “We are particularly excited about introducing products such as Martin Engineering’s pioneering CleanScrape® conveyor belt cleaning system – the only product of its kind on the market – and its range of flow aid solutions that are proven to reduce downtime and improve productivity. Martin Engineering is a global innovator in the bulk material handling industry, developing new solutions to common problems and participating in industry organizations to improve safety and productivity. The company’s series of Foundations reference books and training programs is an internationally-recognized resource for safety, maintenance and operations training. There are more than 20,000 print copies of the books in circulation around the world. 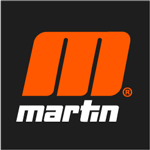 The entire 500+ page volumes can also be downloaded as free PDFs from the Martin Engineering web site. Since 1944, Martin Engineering has designed, engineered and manufactured heavy-duty conveyor components and material flow aids with a focus on safety, efficiency and ease of service. The company has had offices and manufacturing in the region for more than 30 years, and has established a reputation for premium quality equipment and expert service throughout Northern Europe in a wide range of industries, including heavy building products, mining, cement, steel production, fertiliser, power generation, recycling, food, railheads, ports and bulk storage industries.